Season 1 Episode 8 with Larry Sunderland. Listen to the podcast. Don't forget to subscribe! 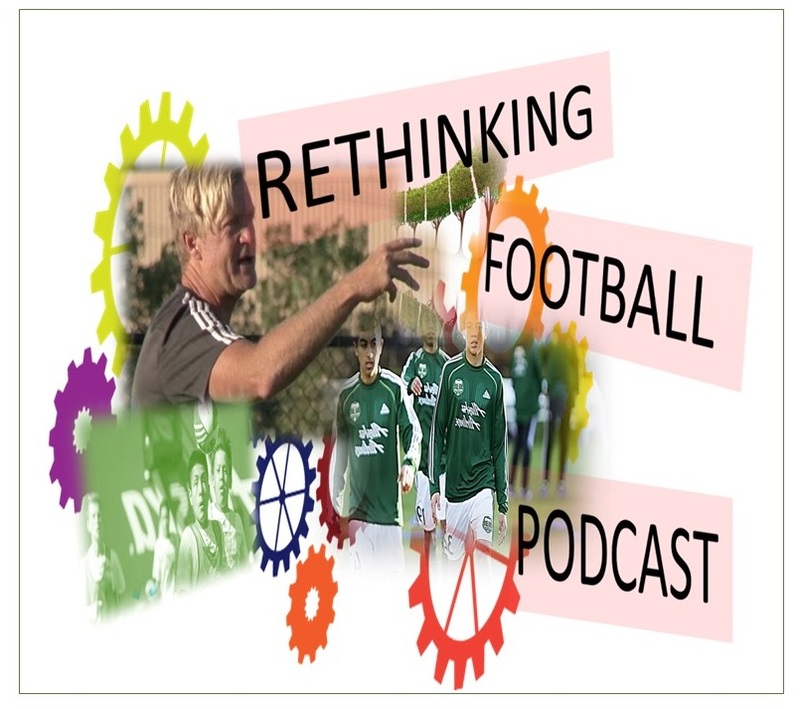 Host: Welcome to Rethinking Football. My guest today is Larry Sunderland. Larry you are in a unique position because you represent so many different perspectives for our audiences. You are a parent of a young player currently playing in Spain, and you are also an academy director for the Portland Timbers. So you understand the interests of the MLS and you've been involved with developing players in the U.S. for a very long time. And so you understand how the academy system works in different markets and also how the national teams’ programs work as well. So you've built your career around working with youth and player development within the U.S. Academy system. Can you tell us a bit about your experience with the U.S. Academy system? Guest: Sure, and thanks for having me. I appreciate the opportunity to speak with you on things around player development and how we how we do a better job in this country. Well first from the academy standpoint, my start was kind of unique because I want to say it was back from 2004 that in Chicago we began what was at that time the first youth club that was associated with an MLS team. And that was the Chicago Fire Juniors. There was always a long-term plan to develop that into more and to do that to further build out the MLS youth development model in Chicago. Anyway, we had that in mind. So, when the academy system came on line in 2007 we were pretty much positioned to take advantage of that, with a large youth club based in the western suburbs of Chicago. We had a decent player pool. At the same time, I was also involved with the PDL program in Chicago. So really what we did is we wrapped that all up and we developed what at that time again was the first really, player development pathway in MLS, where a player could conceivably go from wearing a Chicago Fire jersey at under 8, through an academy system into the college ranks, come back to play PDL and then graduate to the first team. So that's really the initial stages of my involvement in player development and specifically with the academies and MLS. Host: That's great. So, what can you tell us about the difference between your experiences with Chicago Fire and now with the Portland Timbers? Do you see advantages and challenges that are different between the two regions? Guest: For sure. Two very different places. I think first maybe if we start with the similarities between the two, and that of course would be mission, right? The mission of an MLS Academy is to move academy players through to the first team. So, if you start with that mission being the same, and potentially you can look at the methodology of coaching as being the same, maybe the same as I had in Chicago that I brought to Portland. Those ideas are the base of a development academy. Then you need to grow out the differentiation I guess. The main one would be the markets are very different. You have a large market in Chicago and a much smaller market in Portland. And when you’re talking about player development, it starts with the pool of players you have access to. So right off the bat, Chicago has a much greater pool. So that makes it a little bit more difficult here in Portland. It’s a challenge, right, that every academy director has various locations across the US. So, I think your player pool, your talent pool, the size of the market, it’s definitely different. I think there’s a little bit of difference in player mentality as you move around the country. A player that plays in New England is going to be different than a player who plays in Florida, is going to be different than a player who plays in Los Angeles. And I found that to be the case with Portland and Chicago. A little bit different mentality in Chicago. Perhaps the exposure that players get, the competition based on that player pool that players in Chicago got as they were young and growing makes it a little bit of a different mentality. I would say maybe the players in Chicago is a little bit more of a grinder. Whereas in Portland in the Northwest, we are a long way from a lot of things and I think the exposure that the youth players get is much more limited than a Chicago or Los Angeles. Which tends to develop a little bit of a different player. We have to work to develop different areas with the players that we get into the Academy. I think the last difference between Chicago and Portland is the pathway that we have for the players in the different places. In Portland we have the USL program T2. And for me that was a big draw and I see that as a way to complete the pathway for players that come through and further develop for that 18 to 22 age group. That’s a difference maker for me between Chicago and Portland. It provides me with greater opportunity and perhaps different objectives here than I had in Chicago. Host: OK. How many of your academy players make it to USL? Guest: Well, I am two years into the process, and I want to say we have a couple so far that have gone through and signed USL contracts. I think it’s a learning process for us. We’re trying to figure it out. It's new to us. I do think we’re going to be getting better. I think we’re going to start seeing more players coming through from the Academy system into the USL system and that’s going to be the proving grounds to see if they can make it to MLS. I know we are focused on getting our Academy guys in on a regular basis with T2 in the training environment. Right now, I think we have seven or eight players that train on a somewhat regular basis with T2 that our Academy players. I think we’re learning, right, it’s like everything else. It’s an evolution here of developing players in this country. So, each MLS Academy that has a USL program is trying to figure out how they best position the USL program to use from a development standpoint as well as from the standpoint to assist the first team needs. I think we’re getting better at that. Host: Speaking of the kids moving from the Academy into a professional path, what do you think is the vision that you all have to get kids on that path to professionalism, and do you have any specific goals around how many children you’d like to see move along that path to professionalism? Guest: The Timbers having T2, it’s our goal to move as many players from the Academy into that T2 environment as possible. We use that as a training format, and if those guys prove themselves they can secure a T2 contract. As far as goals, look we have some ambitious goals that we’d like to see one player coming through the Academy to the first team by 2020. And I think those are ambitious goals. I think it’s possible but of course as the league improves and the league changes and league evolves, I think we have to revisit those goals perhaps. I tend to look at things a little bit differently because you don’t know what each cycle or each age group or each group of players that comes through an Academy is going to look like. So, for instance, you might have two players or three players to go through and get a professional contract, whether it’s T2 or MLS. But at the same time, you may have a couple of cycles that are just thin, so you may not get a player signed to a contract for a couple of years. I think you’re going to find that that’s going to be similar across the US. To an extent it’s similar in Europe. But we have to remember that in Europe that their system for the development model has been in place for over 100 years in many places. So, we are so young at it and we haven’t even really had a chance to get our legs going with that yet. So, I think there’s a pathway in place. I think that pathway and the goals of that pathway are going to have to continually be revisited. I think the MLS clubs are going to be continually evolving as far as helping to look at these players as assets, and again what they need at the first team level. If you develop seven left backs that could play professionally, you have to figure out where to place those seven left backs, how do use them as assets. Those are things that quite frankly haven’t happened in the US yet. When that time does come, and it will come, those are going to be questions that were all going to have to have answers to. Host: We will continue after this. Host: You mentioned that you were following a similar model to the way they have been doing it in Europe for a long time. But how do you think that your team is developing a culture within the club to invest in players in the academy for their professionalism? Guest: The idea of culture is a really good question and I don’t know that I necessarily have a real good answer for you from that standpoint. Because I think what you find across the rest of the world is that culture is kind of an organic thing. You can have leadership in place that can let that organic process take place and maybe you can assist it. But I think it tends to be more developed naturally. We are young at it I think in Portland we are pretty unique because we have a great fan base, so we have an incredible culture around the first team. How do we build that culture down, how do we grow that culture down. A great way to build a culture down is to move players through it. Then you begin to get local players who can do it as well. But those players have to earn it and it’s not easy. So, I think culture and growing a culture aids that, and I think they work hand-in-hand, and I don’t know that there’s any one real way to do it. So, I don’t know if I have a great answer for you. So many of us romanticize about the Barcelona culture but that is a culture well over 100 years in developing. We have a long way to go. Host: That’s great. I think that’s a really good explanation. I think you’re absolutely right with our teams being so young, relatively speaking, compared to the culture that’s been established in Europe and in Spain. It takes a while to get there. Speaking of Spain, the Academy system there begins at U8 and goes up to U19 and they work also within a promotion and relegation system, both for the Academy and the first team. That promotion relegation system, as you know operates independently between the first teams or the professional teams, and the Academy. I’m wondering if we had a promotion and relegation system here in the US for the academies, how do you think that might improve development for players? Guest: Well I think that the competition is essential to develop players to the highest level. If we believe that promotion and relegation is the way to make competition stronger, for the youth players, I’m all for it. It’s an interesting question because would that promotion relegation be a top down thing, or would it be a bottom up thing? And I don’t have the answer to that. I don’t know where you start the promotion relegation question. I think there’s been some really good strides made and some good initiatives recently in the development Academy and in MLS as far as having Double Pass come in and having Double Pass do a complete audit of all the academies. So now you’re going to begin to get some standards set, or greater standard set. I think the academies, when they begin the program, did a really good job of setting standards. But I think with Double Pass now, I think they’re going to come in and say now these are some of the things we’ve done in the rest of the world. Now let’s ramp it up a little bit. How can we take this criteria and begin to analyze each of the academies across the country? Could that lead to some kind of a tiering system within our country? Is it just within the DA, or does it go farther than that? I don’t know. But I think that perhaps that tiering could become a basis for something more like promotion and relegation. And I’m all for that. Because if you’re really talking about elite player development, in my mind it’s really important to get the lead players, the best of the best together playing together regularly in the best environment possible. And I think those are some of the ingredients to develop this elite player that we keep talking about. And I think there’s some initiatives in the works to make that better. Is that exactly promotion and relegation? Maybe not, but it may look a little more like a tiering, because promotion and relegation it’s kind of a natural way to get there. So maybe we’re going a roundabout way to get there. Host: If we made that change, how would that affect the way academy coaches look for players? Guest: It’s a good question. The way academy coaches or MLS academy coaches look for players, it’s a trickledown effect. What are the first team looking for? Each of the MLS academies have player profiles. We know what we want to look for already. I don’t know that promotion relegation necessarily changes what we’re looking for. Perhaps it changes the place we are looking for those players, but I don’t know it changes what you look for in the player. Every club around the world has their particular ideas of what type of players fit their club. And again, we are younger at it. So, we are looking at our players profiles and we have an idea of what type of player fits our particular club. My job is also to develop an entrée of players. I think those profiles change as head coach is change. So those things are pretty fluid. So, while we have an idea of a Player profile, we also need to be developing a broad base of players as those profiles change. So, going back to promotion relegation, I think it improves the competitive base, I think it may improve the competitive platform, but I don’t know that it changes what you’re looking for in a player. If that makes sense. Host: Absolutely, that makes complete sense. Talking about the Academy system here in the US and how it’s evolving, can you talk a bit about how as it has grown, how teams and how coaches see players as assets? 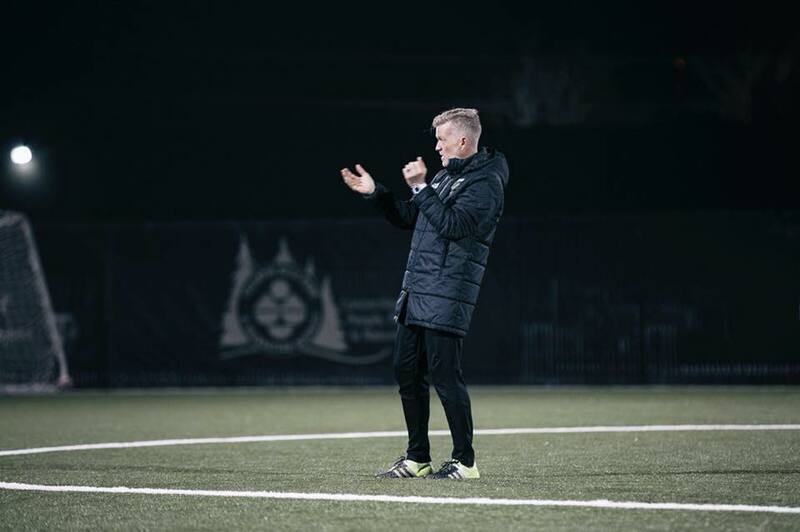 Guest: I think we are learning in this country that the role of an academy coach, under the guidance of an academy director is more than just being this technical guy on the field. It is for all clubs, I was going to say for the MLS academies, there is a business relationship of course. Because you’re investing in these players and the MLS clubs are funding it. I’m going to also say the youth clubs and the youth academies are doing the same because, whether you like it or not, in this country youth soccer is a business. So, I think we are learning now that our roles as academy directors and academy coaches is greater than simply being this soccer guy. We have to also understand the business models behind what we’re doing. Because the money does help to drive the programs. How do we take an academy program player that you have, and let’s say that you bring him in at the age of 10 years, and you have him in your programs for six or eight years? How do we not only look at this player as a person, as a player, but we also have to look at this person as a business asset because we’ve made an investment in that player? I believe things are changing quickly here in the US, where we are beginning to look at these players as assets. If you take MLS right now, this past year I believe, I think it was a first where there have been homegrown rights for players within one MLS team negotiated to go to another MLS team. And for me that’s developing an asset now. For instance, maybe we develop a player within the Portland Timbers Academy who doesn’t necessarily fit the profile of what we want for whatever position. However, he might fit the profile perfectly of another MLS club. Well now that player is an asset. Now there can be a negotiation and it can be a win-win for both clubs. I think we’re headed in that direction. I was really glad to see this last cycle, that’s beginning to happen. I think that’s a great thing. I think that’s a great thing for the MLS clubs and a great thing for the players. Because in the end if we look at players as an asset, it also grows opportunities for players. Host: You mentioned the homegrown rules. Can you tell us more about that and with the impact of these rules are on teams, and on player development as well? Guest: Sure. I’ll try to do it as simply as I can. Sometimes the rules can be too complex. I shouldn’t say too complex, maybe there as complex as they need to be. I don’t necessarily understand all of them all of the time, so I’ll try to keep it simple. Each MLS team has homegrown territory. It’s based on both distance and population. You try to balance out the different regions in the country. If my region has 100 players scattered over three different states, and another region has 300 players in 5 miles of the stadium, you tend to balance things out with your homegrown territory. So, I’m going to have five states to get those prospects, and another team is going to have 5 miles to get to those people. So that’s the homegrown territory. So different clubs have different homegrown territories. In Portland we have Idaho, Oregon, and a small piece of Vancouver Washington. So, we have a larger homegrown territory to get to those numbers. Chicago had a 75-mile radius from the park. So, I hope that’s a good illustration of the homegrown territories can look like. Each of those markets are different. So, the 75 miles within the park is a different player pool than Oregon Idaho. So that affects how people look for players. For instance, if I had LA's territory or New York’s territory, there may be no need for me to look outside my homegrown territory or my homegrown region. There may be no reason for me to look outside of those players. Whereas if I have a much more limited homegrown pool of players, I may have to look outside of my territory to find players. So where can I look outside of my territory? I can look in unclaimed homegrown territories. So, until Miami is fully in the league, for instance, southern Florida is an unclaimed territory at the moment. So, you see a lot of MLS clubs looking for talent in South Florida. And you’ll find players on my roster from South Florida, you’ll find players in Atlanta and Dallas, you’ll find players from South Florida on many MLS clubs' rosters. They are unclaimed territories. So, if they are in my Academy for at least one year, training with us for at least one year and meeting all the minimum requirements of the homegrown rules, they can actually be signed to a homegrown contract. So, what it does is it affects where you look for players outside of your homegrown region. That’s an explanation of what the homegrown rule is and how it affects the players that we try to identify. From the standpoint of opportunities for players, the homegrown rules provide incentives for clubs to sign homegrown players. Incentives include salary cap relief, roster space etc. So, there are certain incentives to sign homegrown players. Is it better for a player to be a player with professional aspirations, for that player to be in an MLS academy and to be a homegrown player? Sure, because there’s incentives for that player to be signed. Any incentive to be signed professionally is a help for a player because it’s so difficult to get there as it is. So that’s the idea with the homegrown rule and how it affects what we do. Host: This concludes this episode of Rethinking Football. We hope that you will join us for the next one.